Here is a set of 4 hand carved turtles with eggshells. 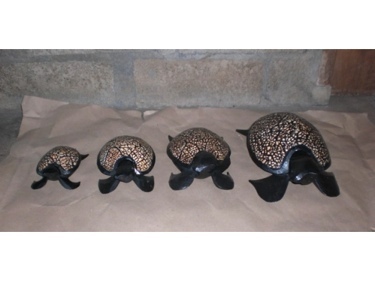 The turtles have hand carved and hand painted with great attention to details! Specifications: - Quantity: 4 turtles - Measurement: 5 6 8 and 14 inches. - Wood: pine with antique finish Great gift idea for turtle lovers and home beach decoration!